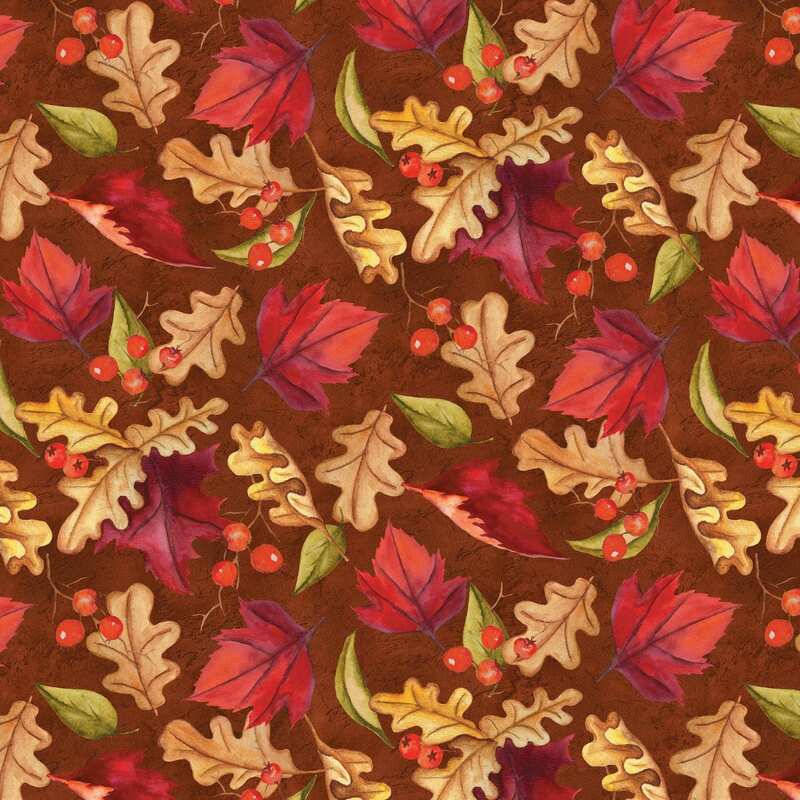 Thankful Harvest is a beautiful cotton fabric designed by Nancy Mink for Wilmington Prints showcasing the rich warm colors of Autumn with a bountiful harvest in mind. A wonderful addition to this fabric line you will find deep rich colors of brown, gold, yellow, rust and shades of green. A must have to create wonderful quilts or home decorating projects for Autumn and Thanksgiving. All fabric from The Quilted Nursery Children's Fabric Store is cut directly from the bolt in continuous yardage unless otherwise specified. We now offer fractional yardage cuts for your shopping convenience. All shipping overages will be refunded upon shipment of fabric. Same day shipping.